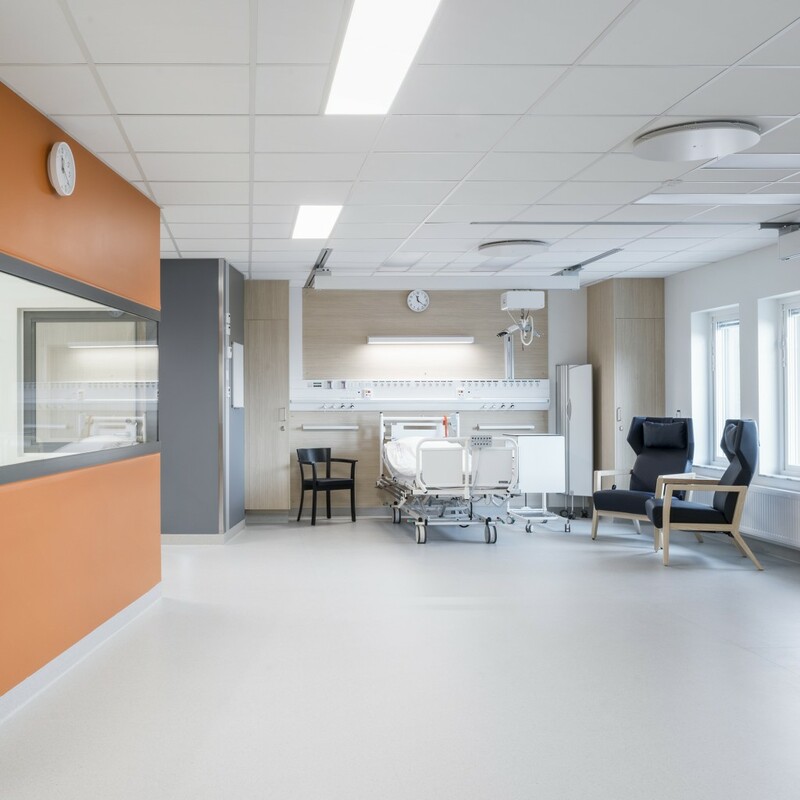 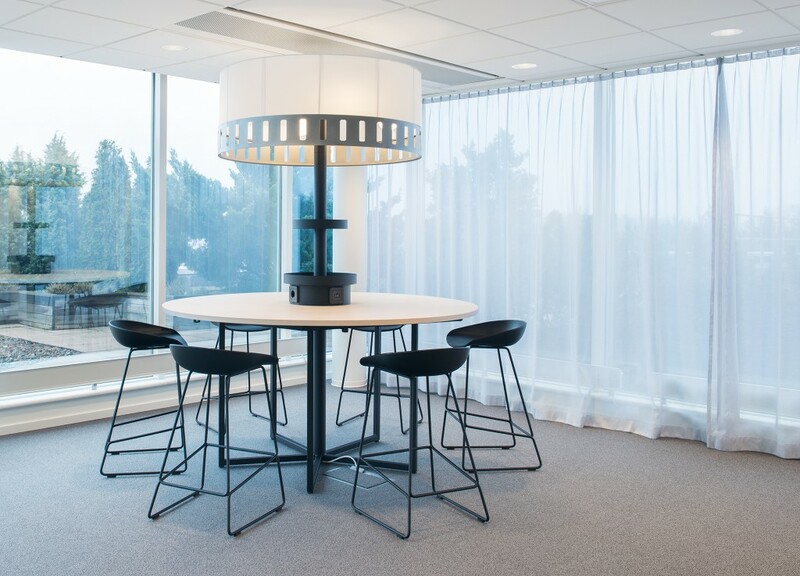 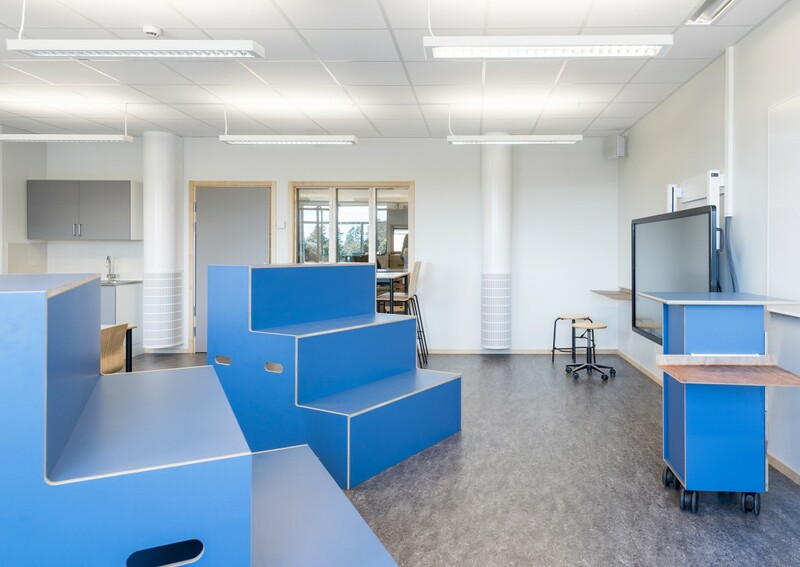 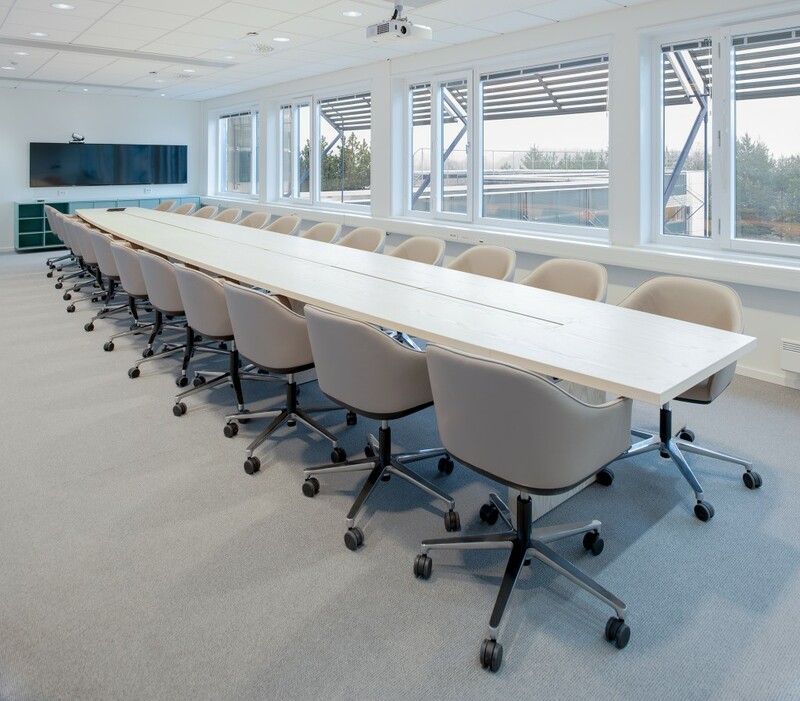 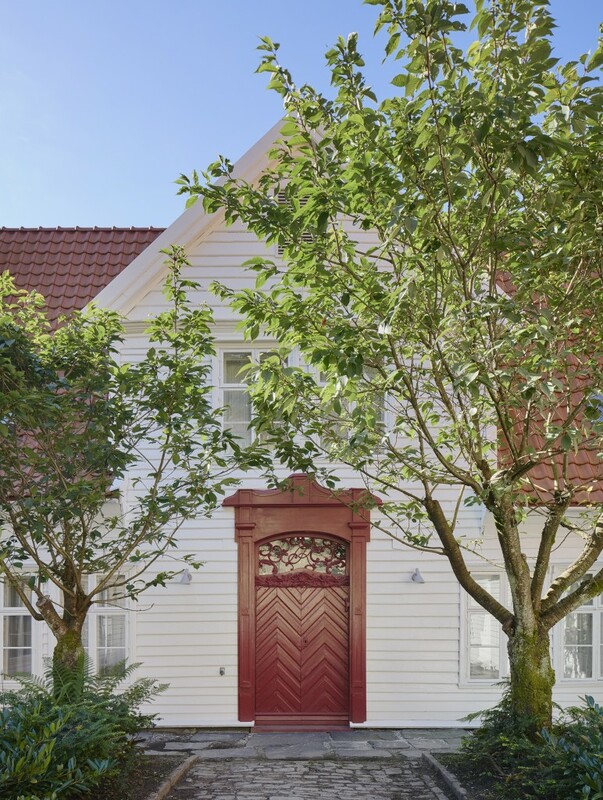 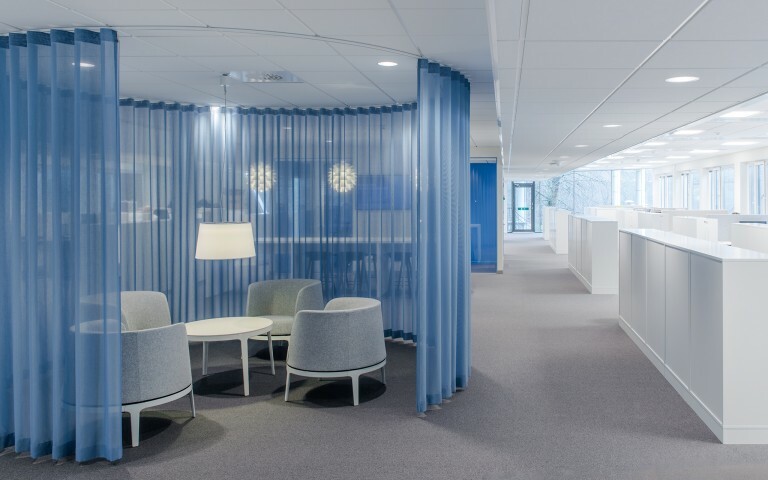 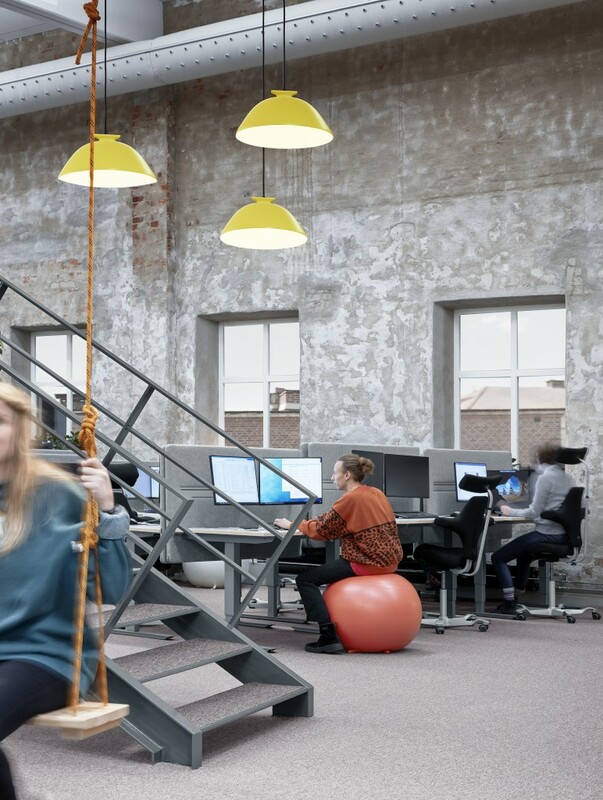 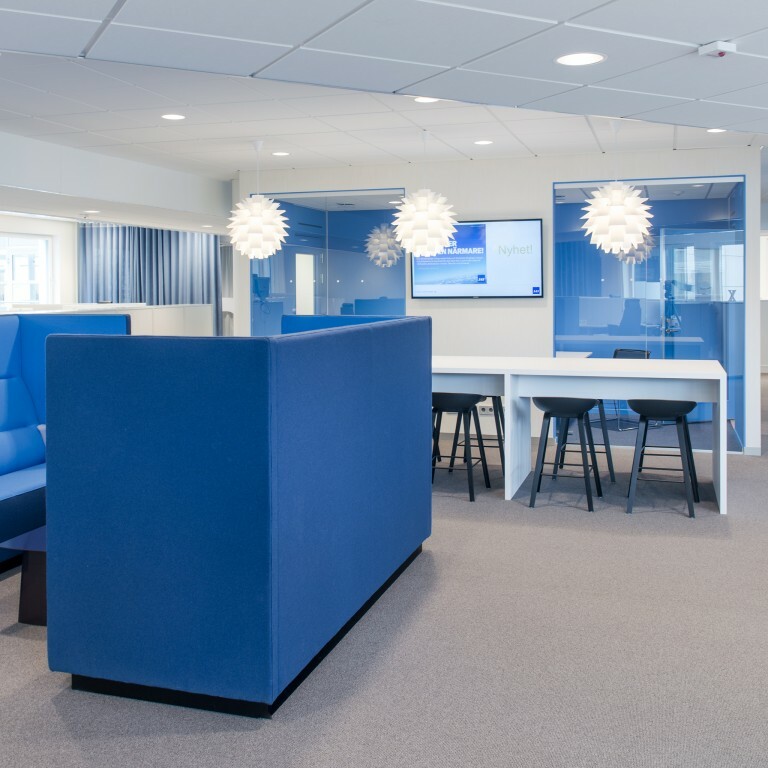 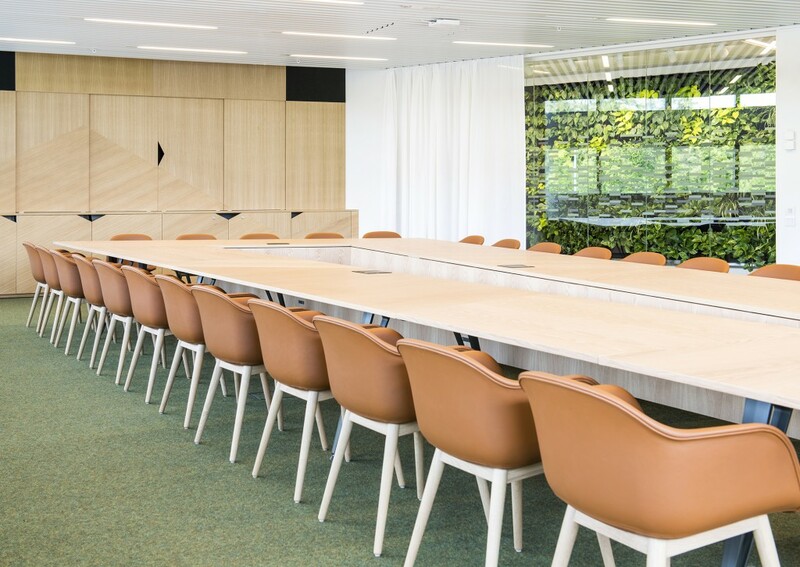 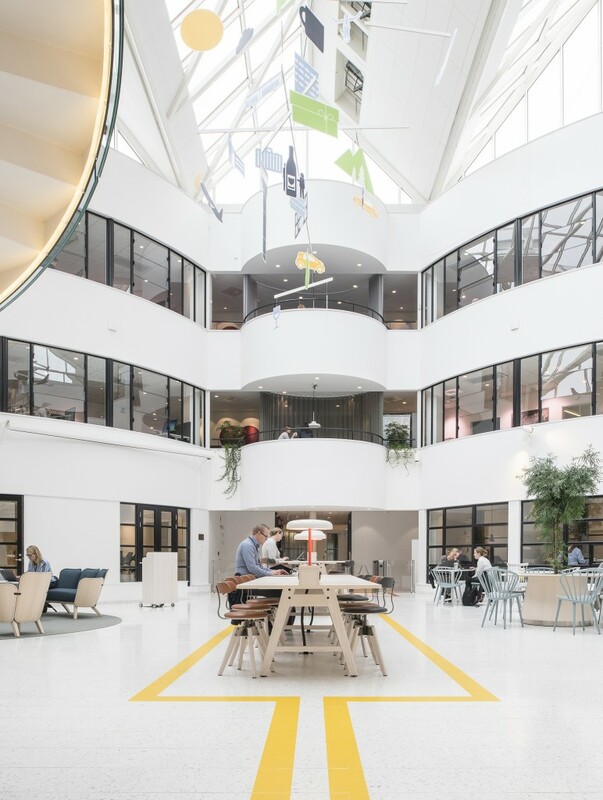 When Scandinavian Airlines moved back into the Frösundavik building, which was constructed for the company back in 1985, they had 15,500 m2 of newly-renovated space at their disposal. 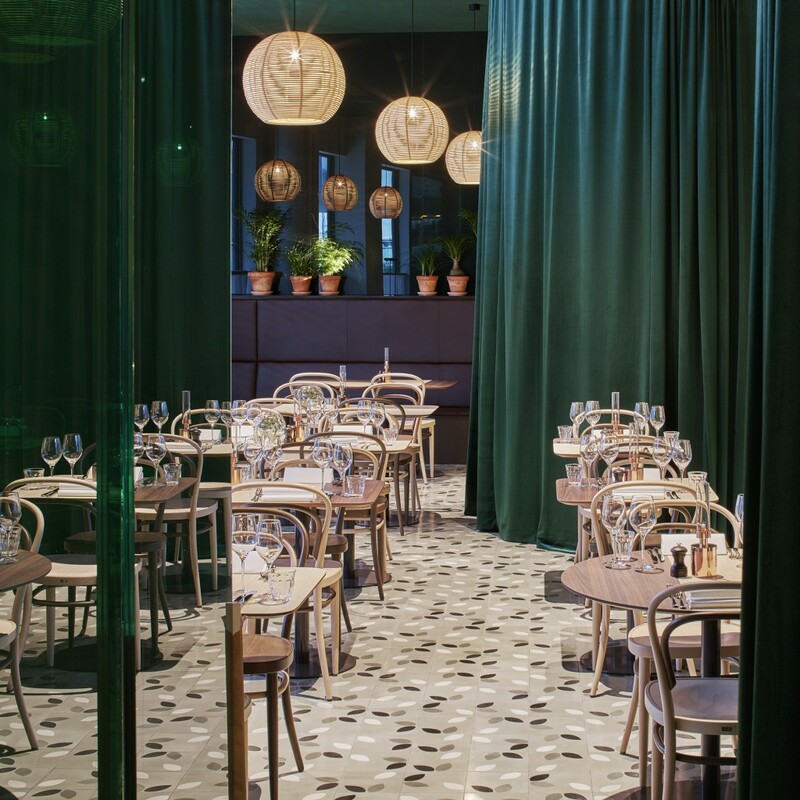 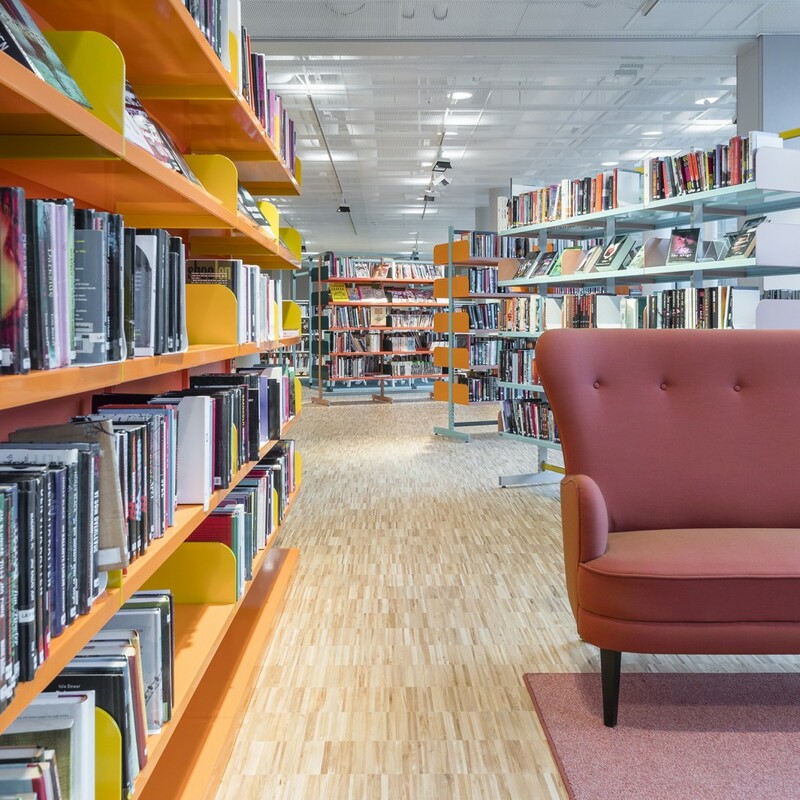 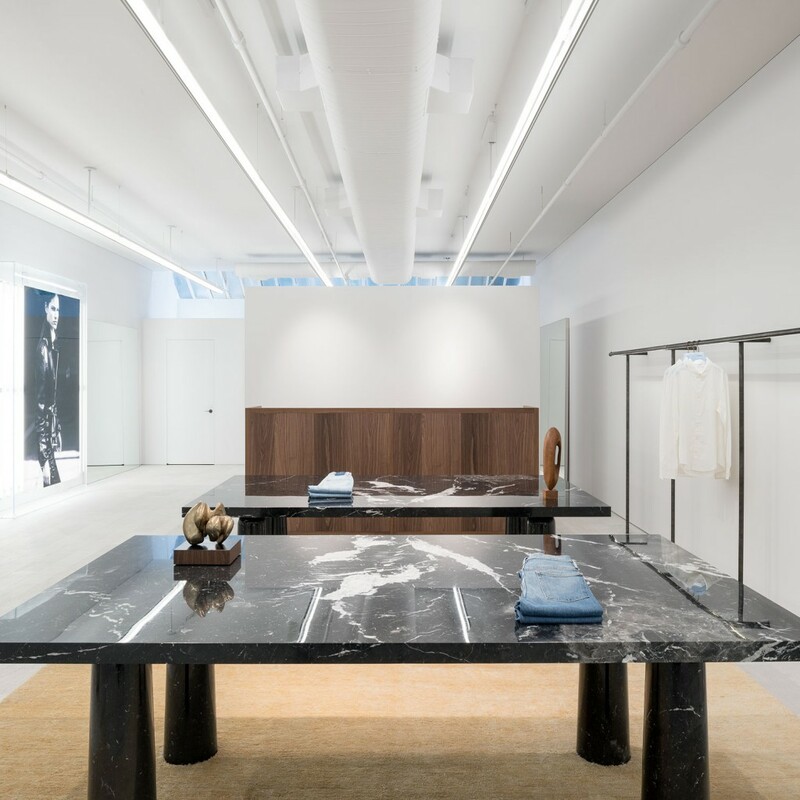 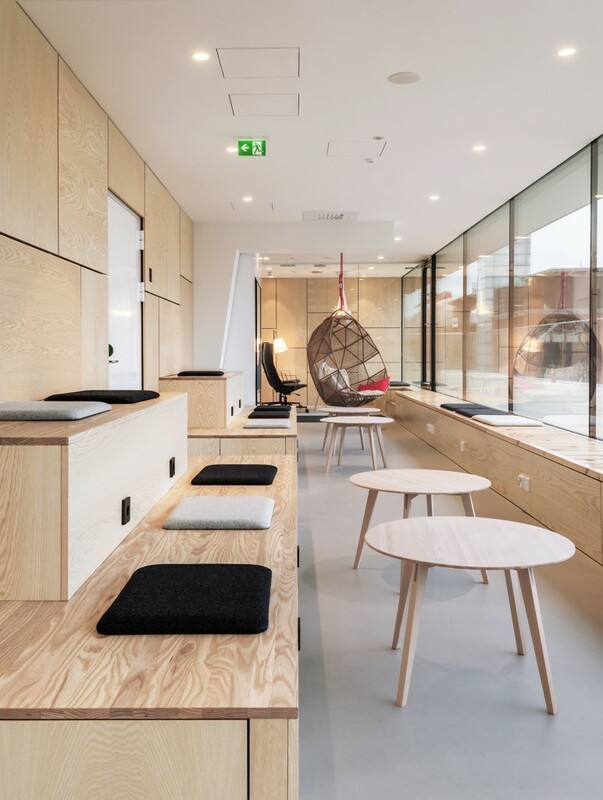 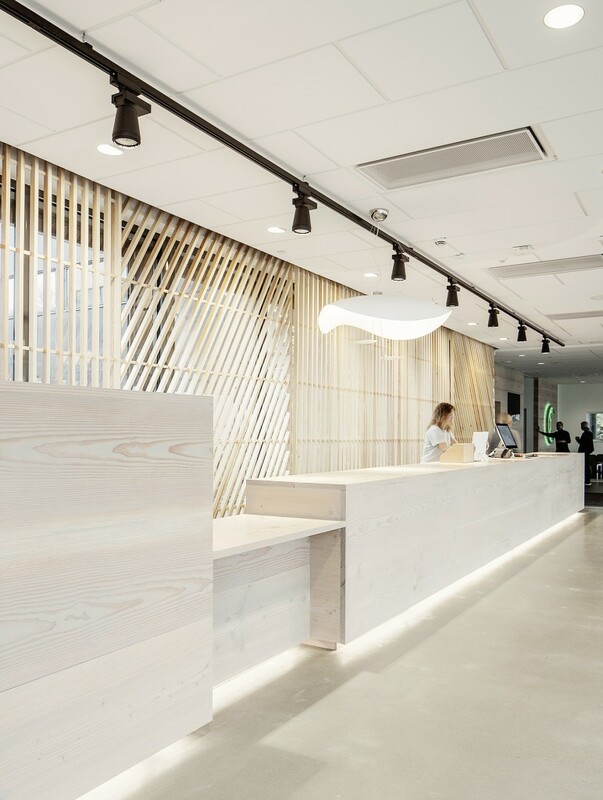 The design is Scandinavian with inspiration drawn from the company’s core activities. 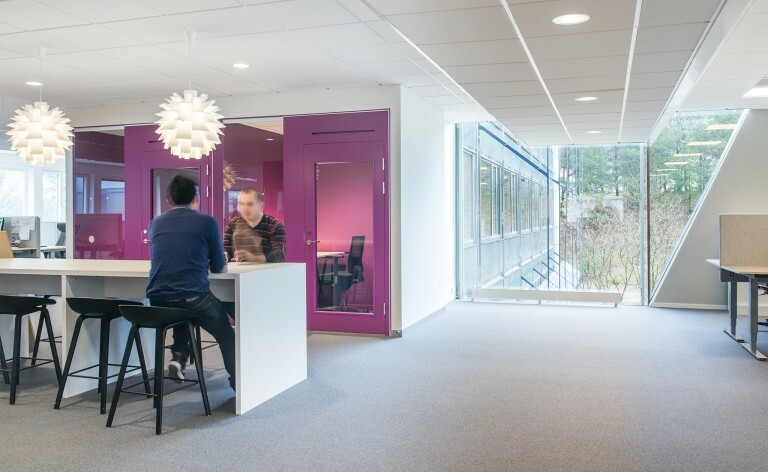 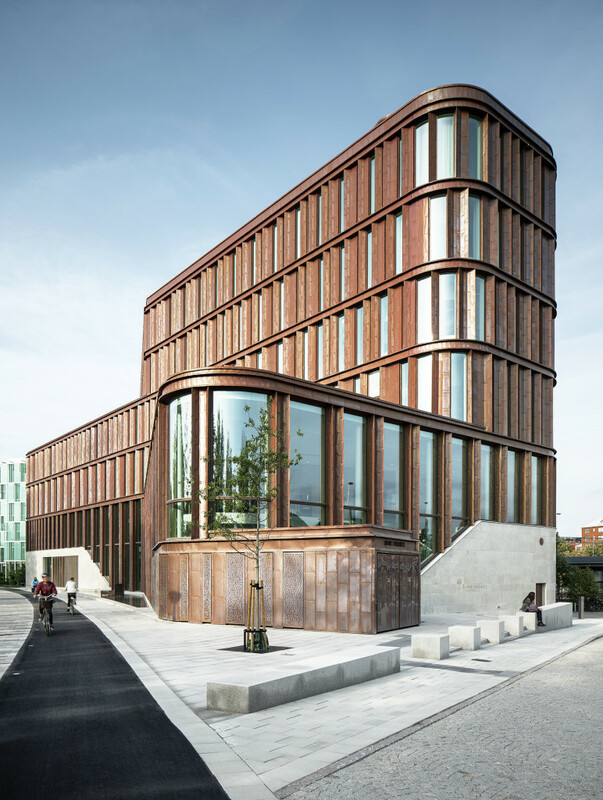 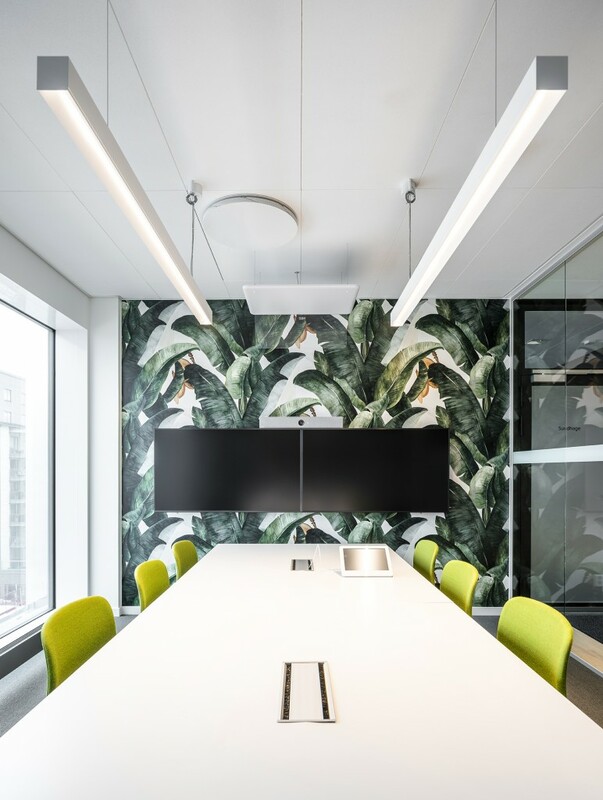 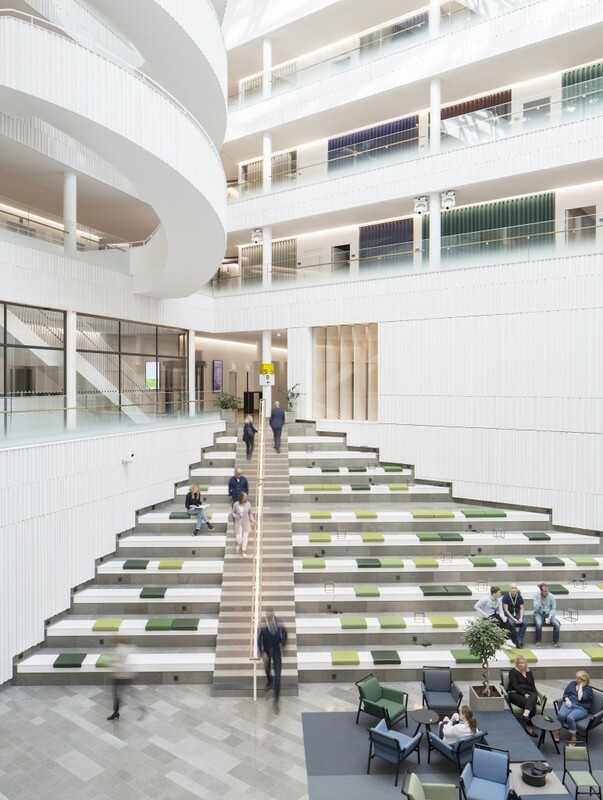 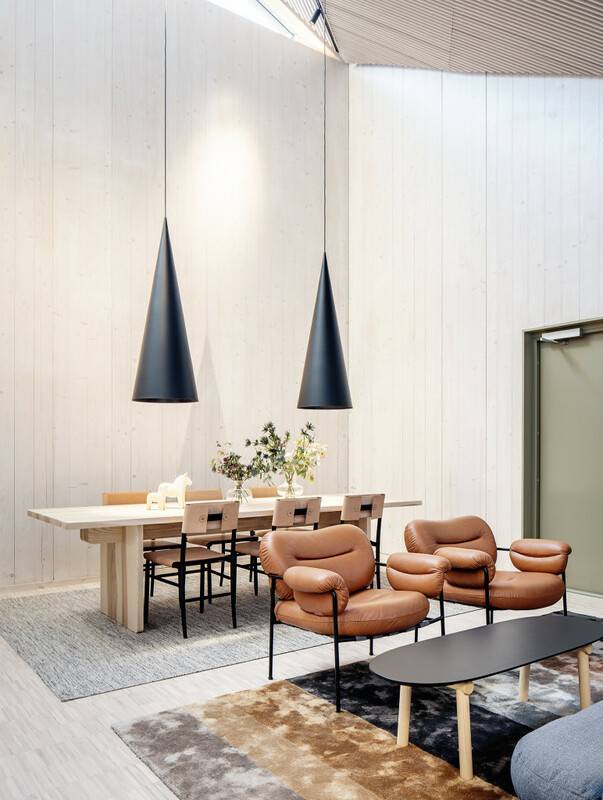 When architects MER were commissioned to design the new SAS head office in Solna outside of Stockholm, Input interior was brought on board to implement their ideas and visions. 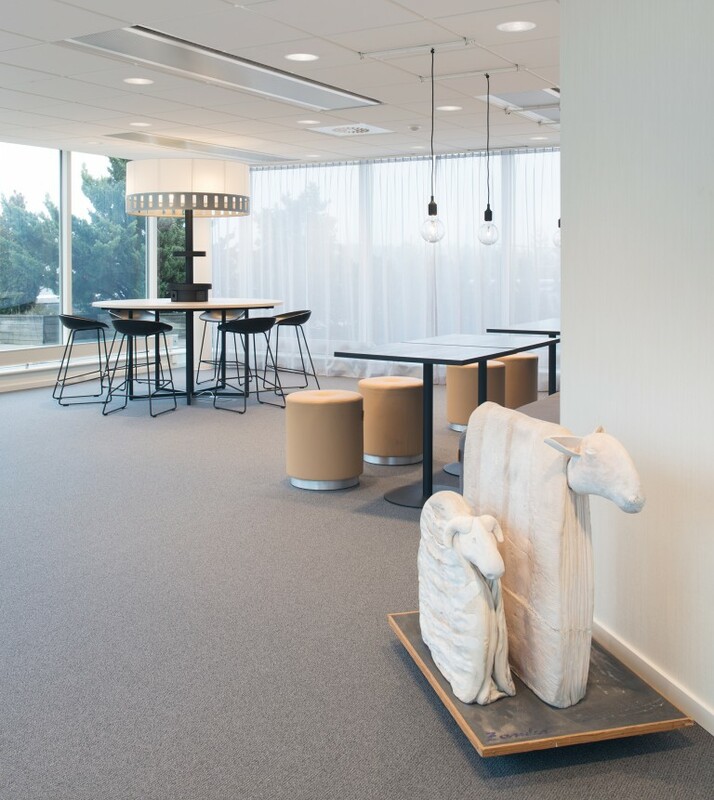 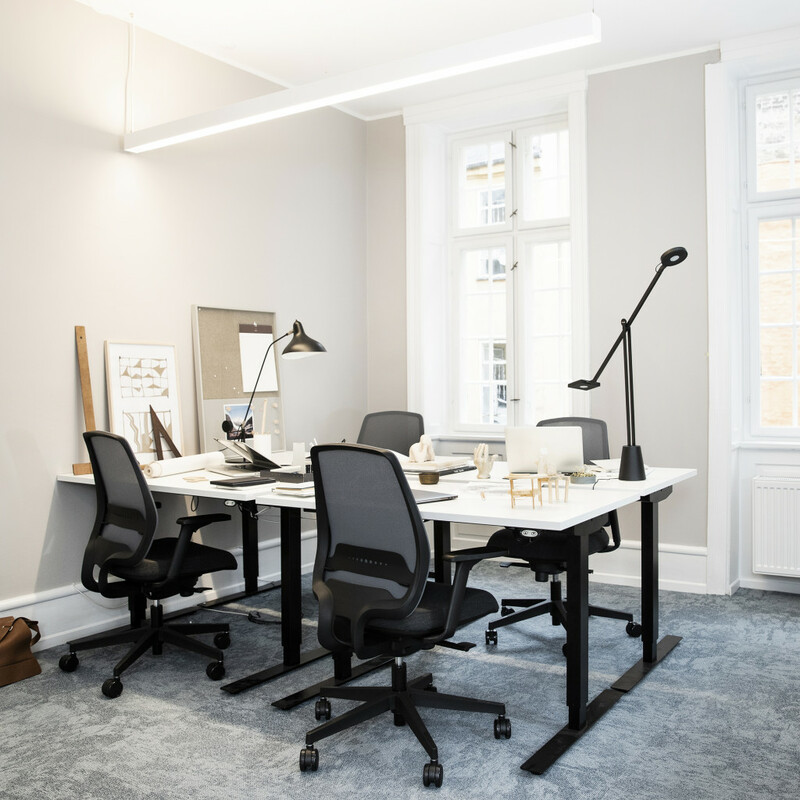 The office supports a varied and flexible way of working and follows modern Scandinavian guidelines, reflecting SAS’s geographic origins. 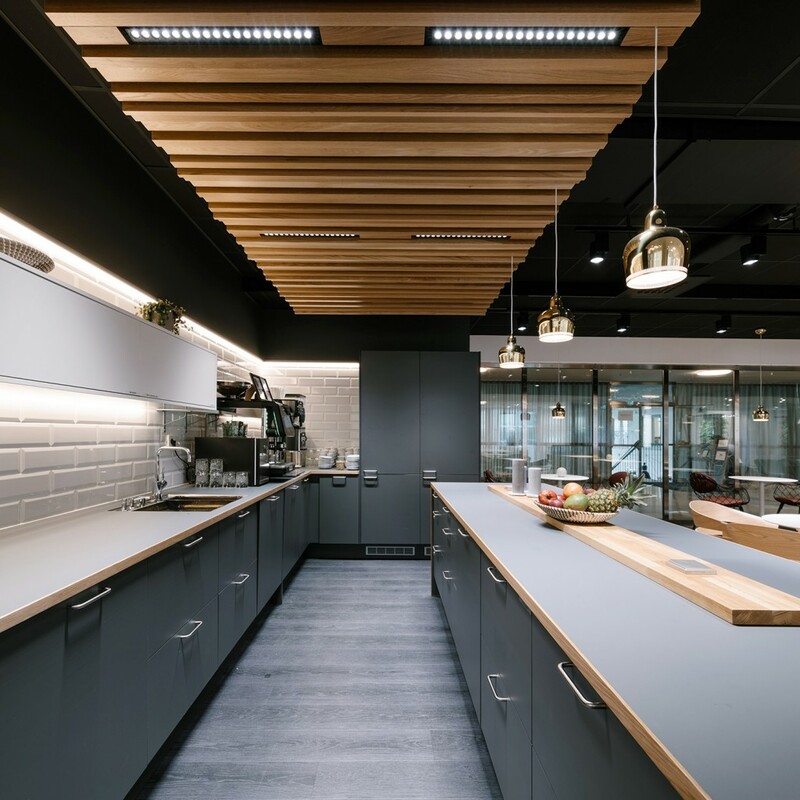 The objective was to create a workplace that satisfies current requirements, but which also stands them in good stead for the future. 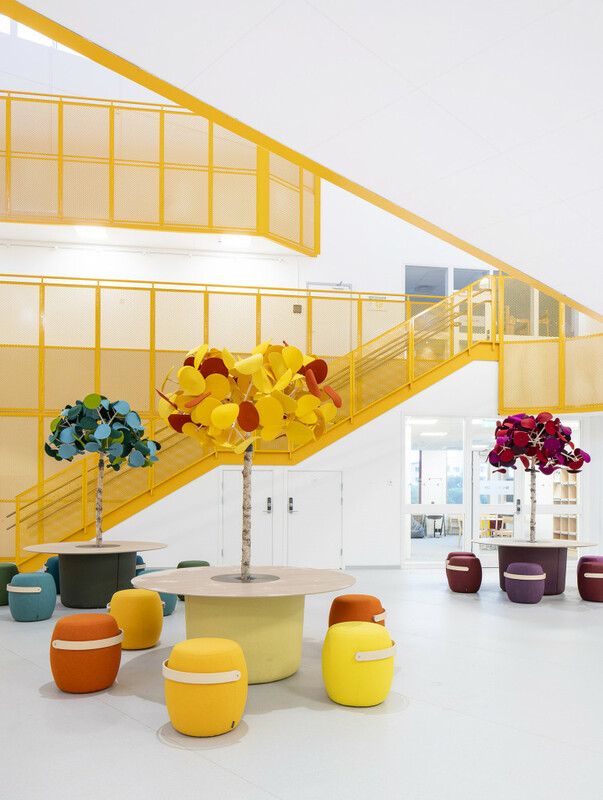 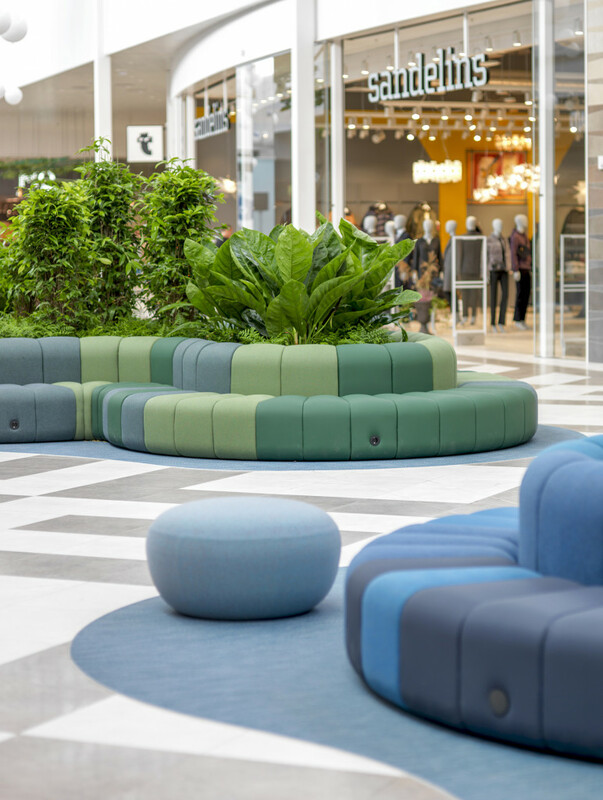 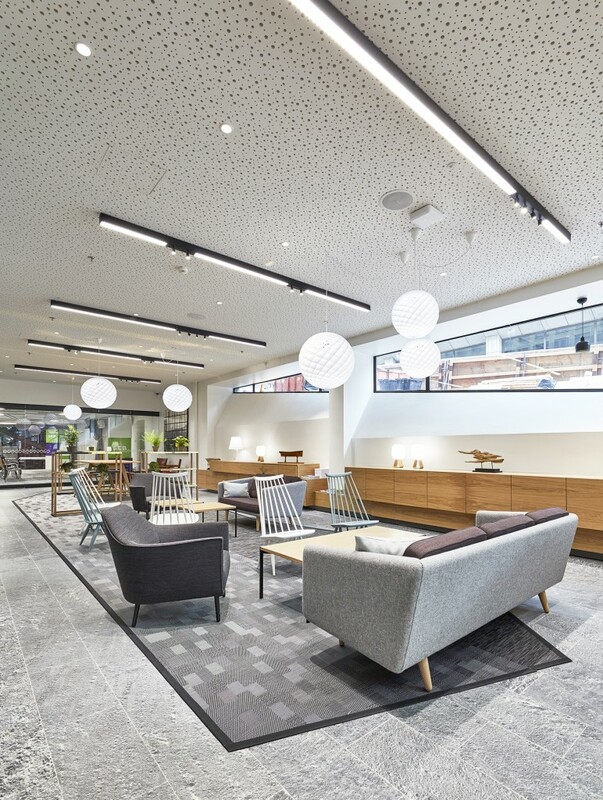 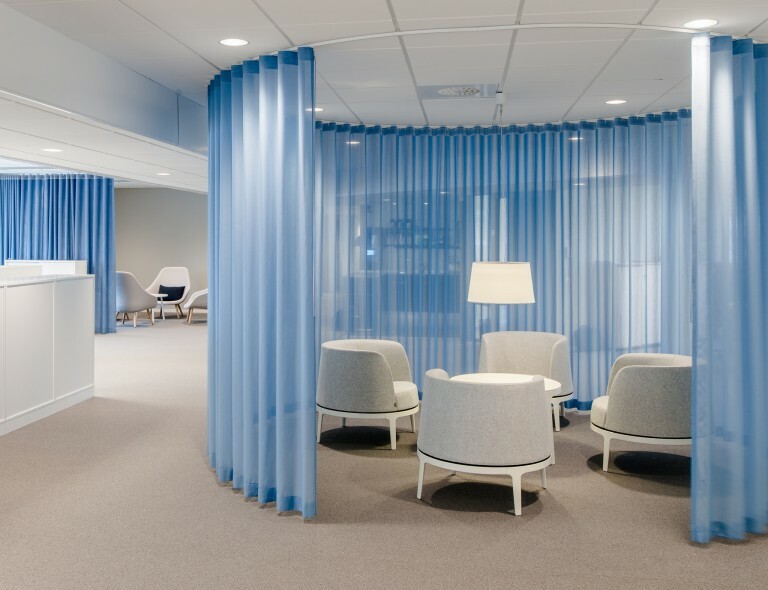 A colour scheme drawn from SAS’s own brand identity and inspiration from a variety of airport environments provide a thought-provoking connection to the company’s core activities. 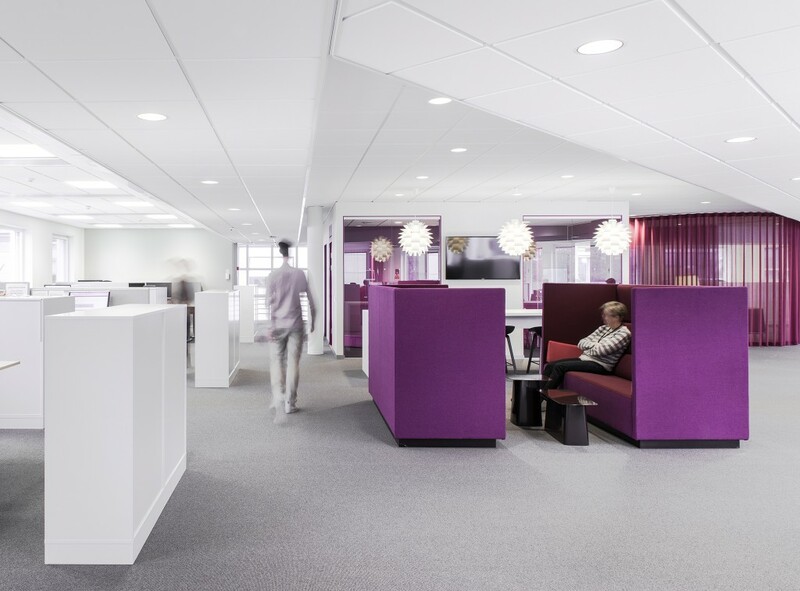 The office’s 1,000 or so workstations offer flexible working in an open-plan setting with touchdown areas. A sense of calm and seclusion can be found in a variety of quiet rooms and discussion rooms.